NOTE: We ship all orders by UPS Ground, unless you request US Mail. Foreign orders are sent by Air Printed Matter. Credit card or International M.O. only. For rush processing ofyour order, add an additional $10.00 per address. Available on money order & charge card orders only. Errors and omissions excepted. Prices subject to change without notice. 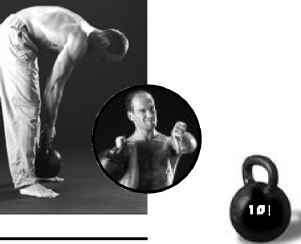 Pavel Tsatsouline, Master of Sports, was nationally ranked in the ethnic Russian strength sport of kettle-bell lifting. A former physical training instructor for Spetsnaz, the Soviet Special Forces, today 'the Evil Russian' trains S.W.A.T. and special response teams for police, U.S. Marshals, and Nonproliferation National Security Institute/U.S. Department of Energy. 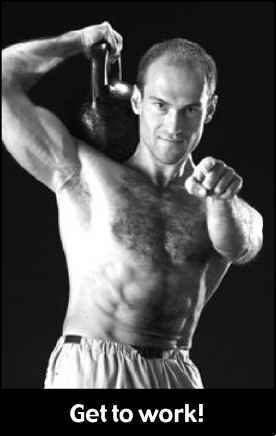 Pavel earned a Soviet Physical Culture Institute (IFK) degree in coaching and physiology and has authored five cutting edge fitness books, numerous videos, and a patent.